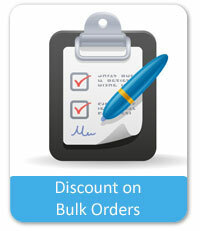 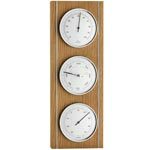 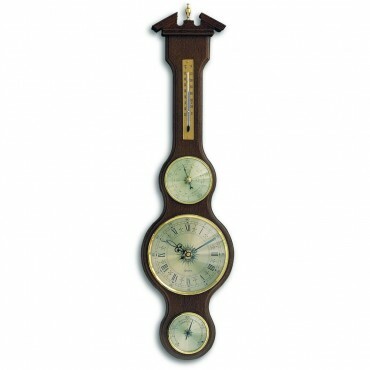 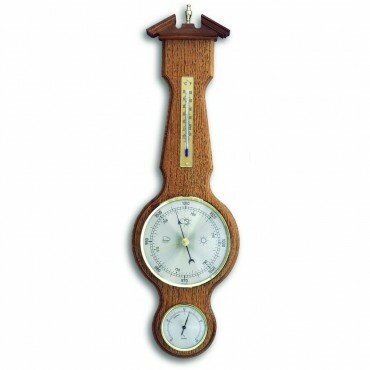 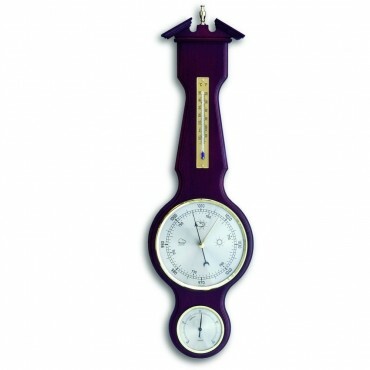 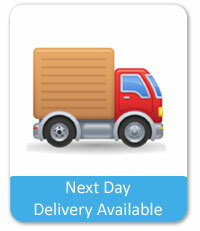 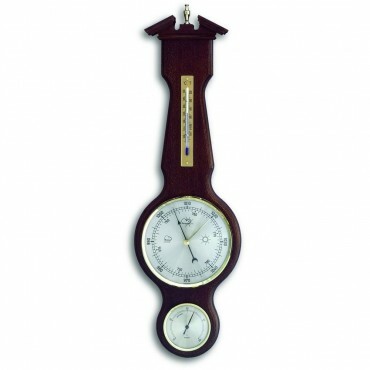 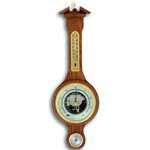 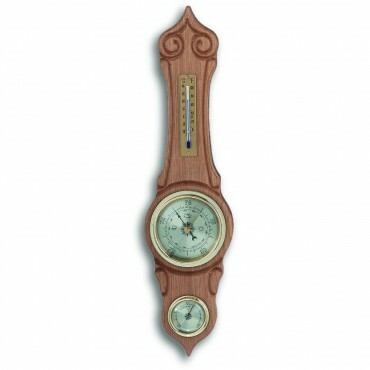 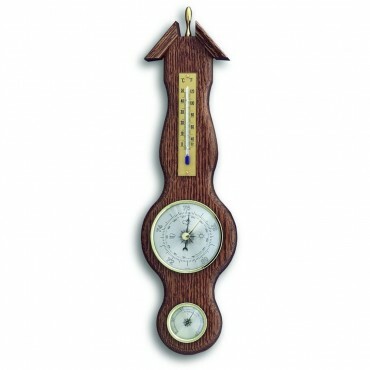 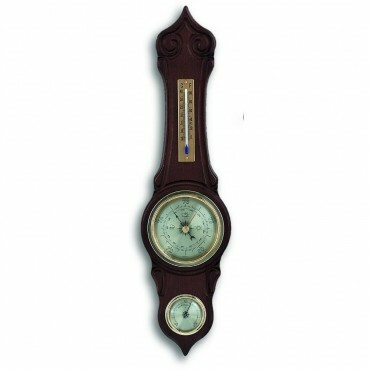 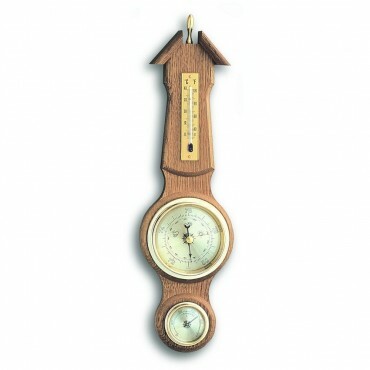 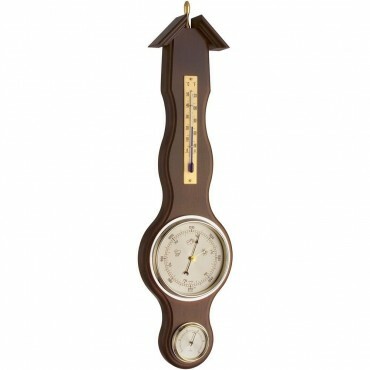 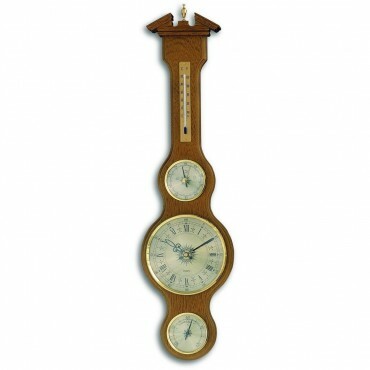 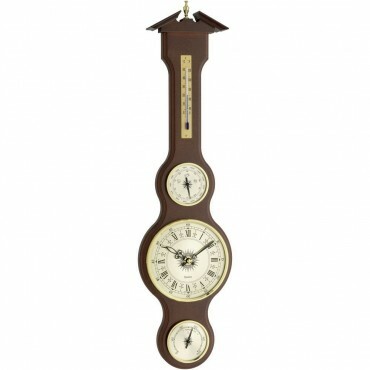 Here, we have a beautiful range of banjo barometers in various wood finishes. 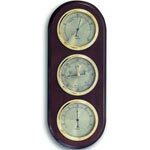 The units in this range are known as aneroid barometers, as the mechanical inner workings react to changes in the air pressure. 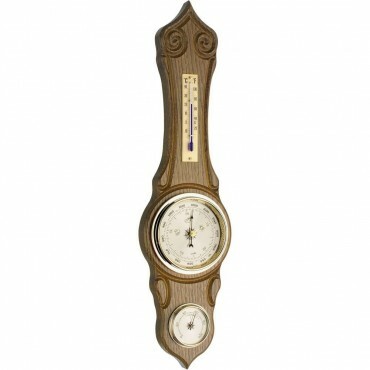 The mechanics drive the pointer on the dials face to show the current air pressure. 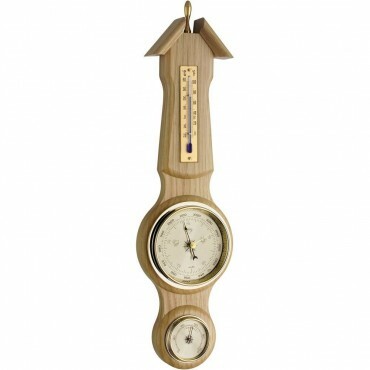 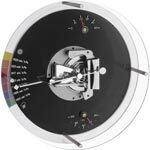 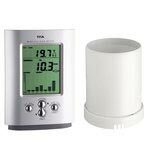 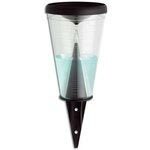 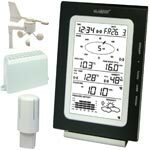 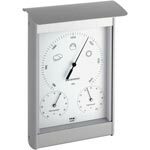 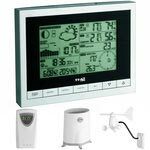 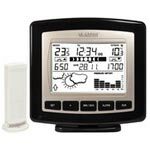 The barometer has a fixed pointer which you are able to move to indicate what the pressure was when it was last checked, and will enable you to clearly see a change. 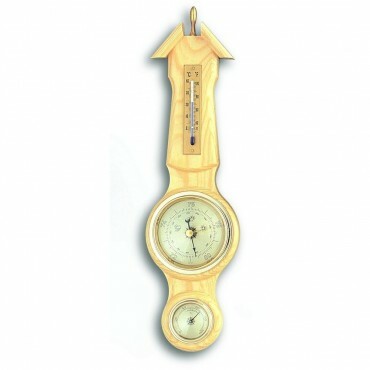 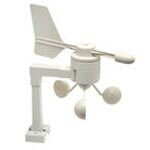 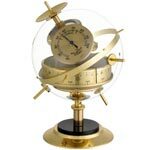 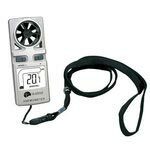 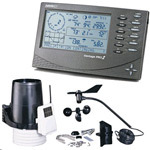 Monitoring the barometer will allow you to see the direction of the barometric pressure, for example. 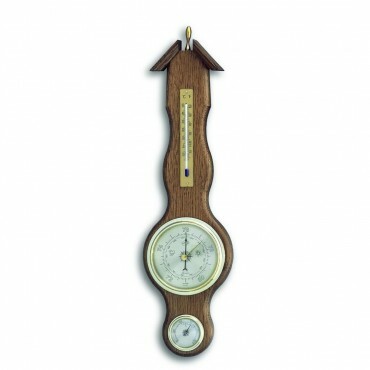 when the air pressure is rising the weather is improving and when it is falling the weather will be deteriorating.